During the past 30 years there has been growing interests in global value chains (GVC) across various disciplines including economics, business & management, economic geography, operational research, computer science, engineering, and so forth. 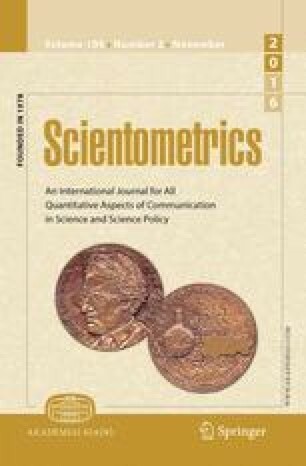 In order to further explore GVC research, this paper employs bibliometric analysis based on co-occurrence network; specifically, it investigates the temporal evolution of disciplines and keywords co-occurrences, as well as the reference co-citation analysis between 1995 and 2014, in order to uncover the evolution of disciplines and research fronts, and identify the intellectual base of global value chains research. The authors are grateful for the constructive advice from the anonymous reviewer. This paper is sponsored by the National Social Science Foundation of China (No. 15ZDB155), the National Natural Science Foundation of China (No. 71372124, No. 71428005), and the key research project of philosophy and social science of the Ministry of Education of China (14JZD017).